Solar energy is supplied by the sun in the form of solar radiation, making it possible to generate electicity from solar energy. 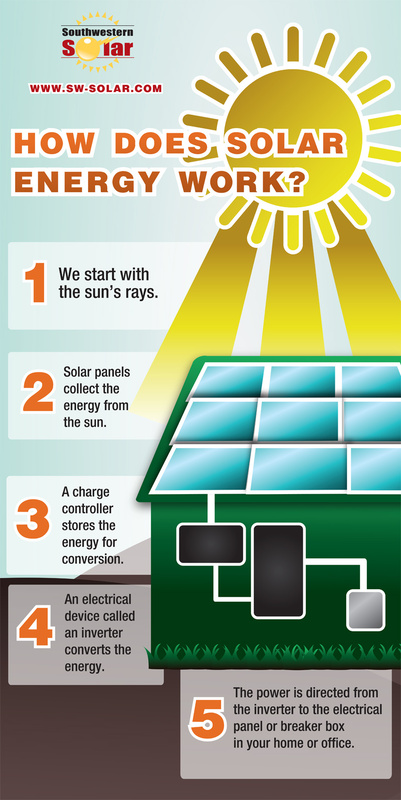 Electricity is generated from PV cells (photovoltaic cells) produced from materials with a photovoltaic effect. When direct sunlight hits a PV cell, photons of light excite the cell’s electrons, causing them to flow and produce usable energy. Numerous solar cells arranged in numerous PV panels could generate enough electricity to power an entire home. And some solar power plants containing huge PV arrays covering several acres can generate electrical energy for thousands of homes. A solar PV power plant situated on the roof of the Black River Office Park in Observatory, Cape Town, South Africa, is the very first of its kind to supply the electrical distribution system in Cape Town with solar generated electric power. 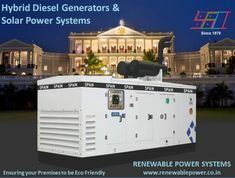 The office park is leading the commercial real estate sector by producing the first sustainable and eco-friendly electric power for its own use as well as the City of Cape Town’s electrical power grid by making use of large-scale solar power systems situated on the roof of the building. The 1.2MW solar power project is the biggest roof-mounted integrated photovoltaic plant in Africa and one of the biggest in the world, capable of producing slightly less than two million kilowatt hours of power each year from its 5,500 modules. How Can Black River Park Office Park Supply Additional Electricity Into Cape Town’s Grid? The solar panels on the roof of the complex covers an area of 11,000 m2, the equivalent of 2 full size football fields. During peak usage periods, the solar panels are able to supply 20% – 30% of the office park’s own usage and are also capable of supplying a limited amount of additional power directly into the electrical power grid, which allows an offset in the monthly electricity records of the city. This additional electricity is supplied to the grid during low peak periods during the week when the electric load of the office park is decreased and on weekends. 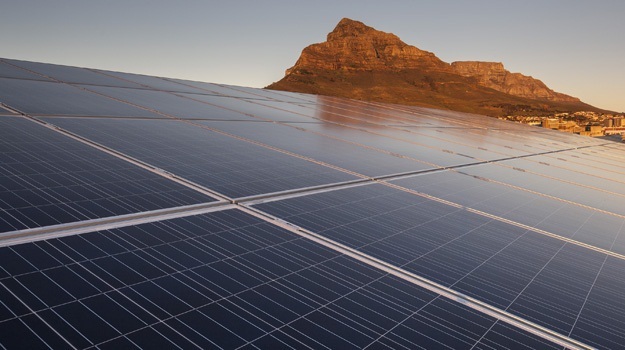 In addition to supplying Cape Town with additional electricity, it is hoped that the Black River Park Project will help to promote the green economy of the city by raising the demand for solar panel usage as well as other sustainable energy sources. An increased demand for solar panel systems can also help to generate jobs in the solar panel industry. Cape Town City has been recognized on a global level as being at the forefront of green pursuits and the Black River Park Project is one of many steps on the way to turning the City of Cape Town into a sustainable city and developing more sustainable ways to deal with important issues facing the environment. 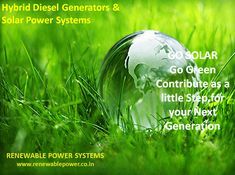 – As a renewable power source solar power can never be depleted. – The abundance of solar power is beyond imagination. 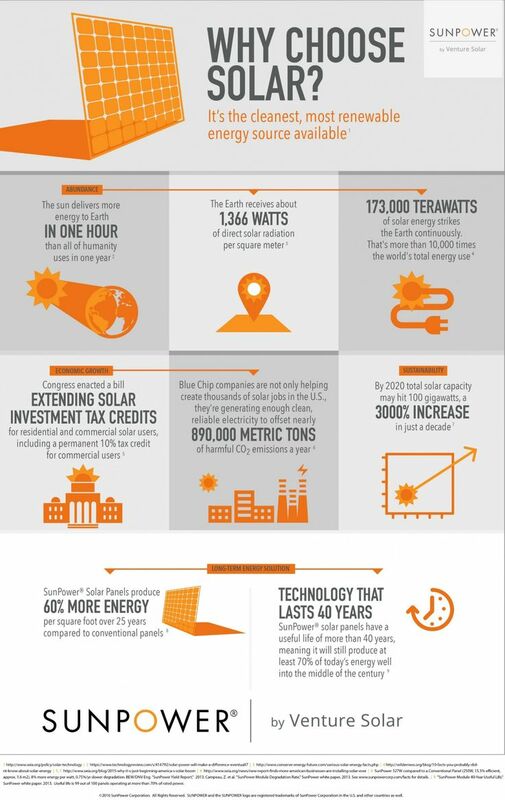 The earth receives approximately 120,000 terawatts of solar radiation from the sun – 20,000 times more energy than is required to supply the entire world with electrical power. – Solar power is an unlimited, renewable power source that is sustainable, meaning that the energy needs of the present can be fulfilled without compromising the power needs of future generations. – Harnessing power from the sun is good for the environment as the process does not cause any pollution. Although there are certain emissions involved in the production, transportation, and installation of the systems, it is nothing compared to pollution from traditional energy sources. – Solar power is available anywhere in the world and not confined to countries that are closest to the equator. – Apart from saving money on buying electricity from the grid by making use of solar power, householders are now able to get credits by “selling” additional energy back to the grid when they generate more than they require. FIT (Feed in Tariff) schemes and net metering will make it possible for householders to minimize their electricity costs. 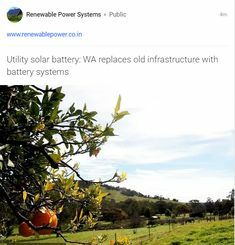 – Solar energy can be used for numerous applications such as supplying power to areas with no grid connection, distilling water in Africa, or providing power to space satellites. How Can Locals in Cape Town Save on Electricity Tariffs? Cape Town has set a goal of sourcing 10% of its electrical power from alternative energy resources by the year 2020. The city is working on discovering a solution which will enable local users to send excess power back to the municipal electricity grid and have it offset on their electricity tariff. This will be made possible by using their own SSEG (Small Scale Embedded Generator) with an advanced bi-directional structure and credit meter. The system will be set up by the City Council at the user’s own expense to bring the electricity supply into suitable SSEG tariffs. Cape Town – A solar-powered producing plant on the roof of the office park around Observatory, Cape Town, is becoming the very first of its type to supply electrical power into Cape Town’s distribution system. 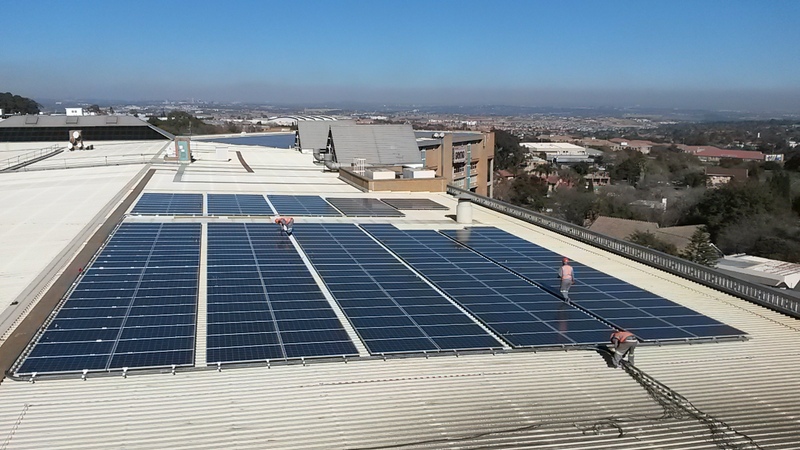 Black River Park, located just off Liesbeek Parkway in Observatory, is in the lead in the commercial real estatesector by using large-scale solar power systems to produce eco-friendly and sustainable power, for itself as well as the City’s electrical power grid. The 1.2MW Black River Park Solar Project is likewise the biggest roof-mounted integrated PV (photovoltaic) plant around Africa and among the biggest on earth, based on the builders, who declare it’s capable of producing slightly below 2 million kilowatt hours each year coming from its 5 500 modules. How Can They Supply Additional Electricity Into The Grid? Black River Park’s solar panels cover up a space of 11 000 m2 (approximately 2 entire sized rugby fields), which makes it the second biggest rooftop solar series around Africa. They could cover 20 – 30% of their own usage demands on peak electricity usage periods. Ever since signing the very first small-scale embedded electricity generation contract along with the City of Cape Town, they’re now also capable to supply a limited quantity of additional electricity back to the city’s electrical power grid. Also, this allows an offset from the City’s monthly electricity records. Additional electricity is given back to the grid during weekends and on low peak periods, for instance; if the office park’s electrical load is decreased. Other than supplying additional electricity, it’s hopeful that Black River Park can help promote the city’s green economy by raising the demand for solar panel systems as well as other sources of sustainable energy. This could also help generate jobs on this industry. The City of Cape Town has been recognized in the global level to be in the forefront green pursuits, as well as the Black River Park project is among the steps on the way to developing a sustainable city which deals with the issues facing the environment. How Do Locals Save In Electricity Tariffs? The City of Cape Town has develop a goal of sourcing 10% of its electrical power coming from alternative energy resources by 2020. The City is now operating a project to discover a solution which enables users to feed power back to the grid and get an offset on their own electricity tariff while doing this. Locals can now offset a few of their own electricity charges by giving additional power into the grid via their very own Small-scale Embedded Generator (SSEG). In order to supply electricity to the municipal electricity grid, users must have a bi-directional advanced meter structure credit meter set up by the City at their own expense and bring their electricity supply in the suitable SSEG tariff. © Copyright 2019 The Solar Future.